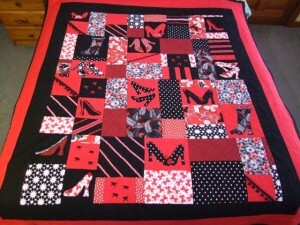 This Shoe Quilt was inspired by a Young Lady that loved shoes. Lyn wanted a special present for her and made this quilt with plenty of love. Needless to say, she loves it.